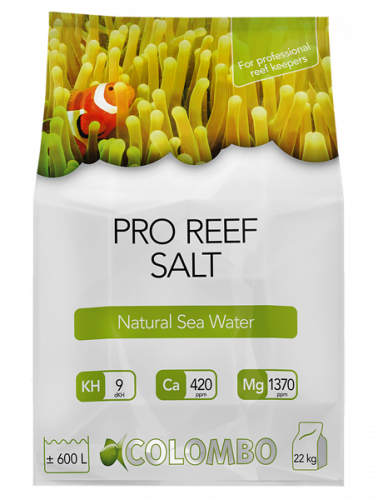 Because of its origin Colombo Pro Reef Salt differs substantially from most other salts for reef aquariums. More and more hobbyists understand the benefits of a natural product compared to a chemically enhanced product. With the minimum of chemical or technical modifications Colombo Pro Reef salt comes the closest to natural seawater. At least 85% of the ingredients are harvested from natural seawater by environmentally friendly solar evaporation. The fresh salt comes from the coral reefs and therefore it contains trace elements in the same ratio as in natural seawater. Research shows that traces of bacteria remain on the salt after evaporation. These traces are responsible for significant biological improvement in your tank. 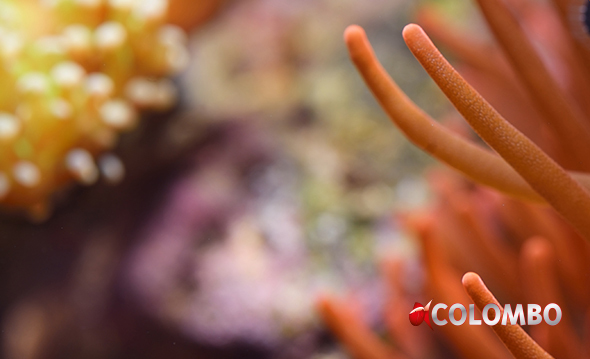 This together with the well balanced formula and pure unpolluted ingredients show a great improvement in the development of corals with 95% of its users. This is why the use of Colombo Pro Reef salt and the Colombo additives are highly recommended by experts and professionals. For a healthy and successful marine aquarium, we recommend changing 5-10% of the water every week. First top up the aquarium with reversed osmosis water to compensate for evaporation. Subsequently, take out the amount of water you are about to exchange and replace this with freshly prepared seawater.